33" HIGH, 20 X 36. This table is designed to come up to window to let the sun bathe all the succulents you keep on it. 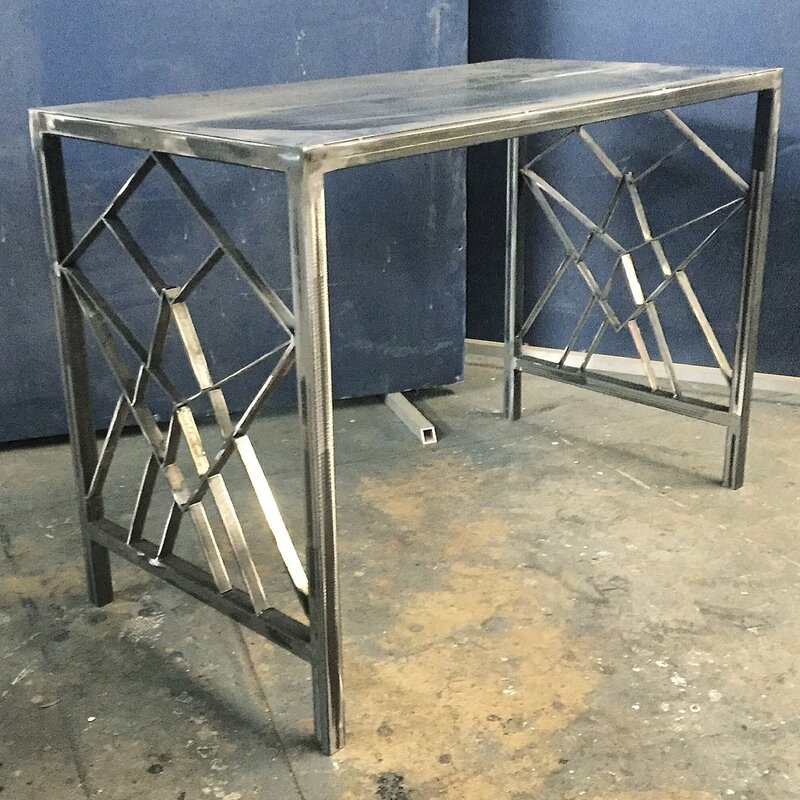 Lace pattern on the side constructed with 22 individual 1" wide steel pieces, each hand-cut to fit the lattice. The steel is minimally treated to maintain an industrial but smooth finish.